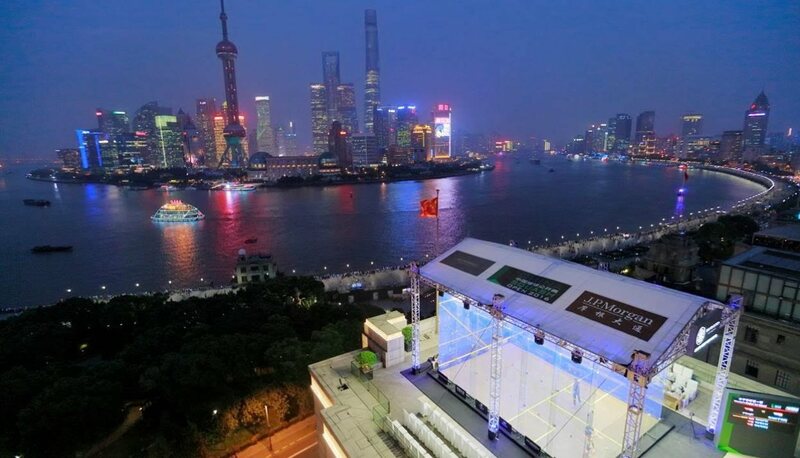 Egyptians will contest all four quarter-finals of the Comfort Inn Open in Canada after a day of upsets and marathons in the PSA World Tour International 50 event at the Evergreen Squash Club in Vancouver. England’s defending champion Daryl Selby was the biggest casualty, falling at the first hurdle in one of the longest matches of his career. Winner of the title both in 2009 and 2011, the 29-year-old world No11 tasted defeat at the Vancouver club for the first time as unseeded Egyptian Tarek Momen recovered from a game down to beat the fourth seed 6-11, 13-11, 11-9, 6-11, 11-7 in 105 minutes – gaining revenge for his defeat in the 2009 final. Momen, the 23-year-old world No18 from Cairo, will now play fellow countryman Mohamed Abouelghar, who became the only qualifier to make the quarter-finals when his US opponent Julian Illingworth retired injured after the third game, with the score standing at 10-12, 11-3, 11-9. In another marathon encounter which went the full distance, third-seeded Egyptian Omar Mosaad twice had to come from behind to overcome Botswana’s Alister Walker 9-11, 11-5, 7-11, 11-9, 11-9 in 95 minutes. But the most extraordinary clash came at the top of the draw where Egyptian favourite Amr Shabana took on New Zealander Martin Knight. Shabana, the illustrious four-time world champion, arrived in Vancouver fresh from winning theATCO PSA World Series Finals crown after one of the sport’s most talked about matches last week in London. But the world No8 dropped the first game, then struggled to win the second before losing the third 11-0 – suffering the first ever whitewash game loss in his entire career! Knight, ranked 30 places lower, was unable to exploit his unexpected advantage however as Shabana regrouped to close out the match 5-11, 12-10, 0-11, 11-5, 11-3 after 53 minutes to take his anticipated place in the last eight.